Brent Ahrens joined Canaan in 1999 as a member of the Kauffman Fellows Program and is a part of the healthcare investment team at the firm. He has led investments in companies including DexCom (DXCM), Revivant (acquired by ZOLL), Peninsula Pharmaceuticals (acquired by JNJ), Cerexa (acquired by FRX), Calixa (acquired by CBST), Durata Therapeutics (DRTX, acquired by AGN), Elevation Pharmaceuticals (acquired by DNPUF); AtheroMed (acquired by VOLC); and Spinifex (acquired by NVS). Mr. Ahrens serves on the boards of Abyrx, a developer of biomaterials for use in surgery; EndoGastric Solutions, the leading medical device company with treatments for reflux disease; Nexcida and Iterum Therapeutics, developers of antibiotics to treat serious infections; MID Surgical, products that improve visualization during laparoscopic surgery; Relievant MedSystems, a maker of minimally invasive devices to relieve chronic back pain; Data Sciences International and Unchained Labs, both life science tools companies; and Semnur Pharmaceuticals, a developer of pain management products. Prior to joining Canaan, Mr. Ahrens worked in both commercial and technical roles at General Surgical Innovations, Ethicon (J&J), and IAP Research. He also has several surgical instrument patents to his credit and is a Registered Professional Engineer. Mr. Ahrens earned an MBA from the Tuck School of Business at Dartmouth College after graduating with a B.S. and M.S. in Mechanical Engineering from the University of Dayton. 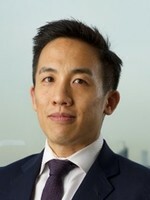 Mark Chin has over ten years of experience in the life sciences industry. He currently sits on the board of Iterum Therapeutics, Harpoon Therapeutics, and OptiKira. He was previously a principal at Longitude Capital, where he focused on investments in both private and public biotechnology and medical technology companies. Prior to Longitude, he was a consultant at the Boston Consulting Group, where he was responsible for strategy and corporate development projects for pharmaceutical and biotechnology companies. Before BCG, Mark worked in corporate development at Gilead Sciences and market planning at Genentech. Mark has an MBA from The Wharton School at the University of Pennsylvania, an MS in Biotechnology from the University of Pennsylvania, and a BS in Management Science from the University of California at San Diego. Mr. Edick is Chairman and Chief Executive Officer of Xeris Pharmaceuticals, (Nasdaq: XERS) a specialty pharmaceutical company leveraging its novel formulation technology platforms to develop and commercialize ready-to-use, liquid-stable injectables. Prior to Xeris Pharmaceuticals, Mr. Edick was Founding Partner of 3G Advisors, a consultancy to the pharmaceutical, healthcare, and healthcare investor communities. From 2010 to 2014, Mr. Edick was the Chief Executive Officer of Durata Therapeutics (Nasdaq: DRTX), a biopharmaceutical company addressing the growing need for new antibiotics to treat infectious diseases. Durata was acquired by Actavis plc in November 2014. Prior to Durata, Mr. Edick was Chief Executive Officer of Ganic Pharmaceuticals, a Warburg Pincus investment search vehicle, from 2008 to 2010. Before Ganic, Mr. Edick was Chief Executive Officer of MedPointe Healthcare, Inc., a US-based specialty pharmaceutical company, a position he assumed in 2006, having been President of Pharmaceutical Operations since 2002. Mr. Edick led the growth of the business and the development of a clinical stage portfolio, and the Company was subsequently sold to Meda, AB of Sweden in 2007. Mr. Edick also has extensive industry experience with leading consumer, pharmaceutical and healthcare organizations including Pharmacia - Group Vice President and President, Asia Pacific & Latin America Operations at Pharmacia; and Searle Pharmaceuticals - President of Asia Pacific, Canada & Latin America Operations, VP, Canada & Latin America Operations, and leading the US managed care organization, US marketing organization and Global Pain & Inflammation Business, including the commercialization and launch planning for Celebrex®. In addition, Mr. Edick has also held sales, marketing, advertising and advisory positions in Procter & Gamble, Ortho Pharmaceuticals and The Hamilton Group. In addition to currently serving as Iterum’s Chairman of the Board, Mr. Edick is also a member of the Board of Directors for PDL BioPharma (Nasdaq: PDLI). Mr. Edick has also previously served on a number of pharmaceutical and healthcare company boards, including Neos Therapeutics (Nasdaq: NEOS), NewLink Genetics Inc. (Nasdaq: NLNK), Circassia Pharmaceuticals Plc (London: CIR.L), Sucampo Pharmaceuticals, (acquired by Mallinckrodt), Amerita Inc., and Informed Medical Communications. Corey Fishman has served as Chief Executive Officer since late 2015 when the company was formed. From 2010 to 2015, Mr. Fishman served as Chief Financial and Chief Operating Officer of Durata Therapeutics, Inc. overseeing all aspects of finance and administration, manufacturing, business development, strategy, international operations and portfolio optimization. While at Durata, he raised substantial capital, including a successful IPO and secondary public offering. Mr. Fishman also led the negotiation and sale of the company to Actavis plc. Prior to Durata, Mr. Fishman served as Chief Financial Officer of Ganic Pharmaceuticals, Inc., a Warburg Pincus company from 2008 to 2010. 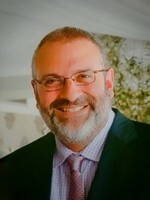 From 2002 to 2008, Mr. Fishman served in a leadership role at MedPointe Healthcare, Inc., a private equity backed specialty pharmaceutical company and became the Chief Financial Officer in 2006. Mr. Fishman had responsibility for finance and administration, portfolio optimization, manufacturing, strategy and business development. He led the development and implementation of a new strategic plan, which involved raising capital, restructuring debt, accelerating the growth of existing commercial assets and developing multiple line extensions to enhance future value, culminating in the successful sale of the company to Meda AB. From 1994 to 2002, Mr. Fishman held roles of increasing responsibility in both mid-size and large pharma. Mr. Fishman serves on the board of Momenta Pharmaceuticals, Inc. (Nasdaq:MNTA), a biotechnology company specializing in the characterization and engineering of complex drugs. Mr. Fishman holds a BA in Economics from the University of Illinois at Urbana-Champaign and an MSM in Finance from the Krannert School of Management at Purdue University. Dr. James Healy has been a general partner at Sofinnova Investments since 2000. Prior to this, Dr. Healy held positions at Bayer Healthcare Pharmaceuticals and Sanderling Ventures. Dr. Healy is currently on the board of directors of Ascendis Pharma A/S, Coherus BioSciences, Inc., Edge Therapeutics, Inc., Obseva SA, Natera, Inc., NuCana plc and several private companies. Previously, Dr. Healy served as a board member of Amarin Corporation plc, Anthera Pharmaceuticals, Auris Medical Holdings AG, Durata Therapeutics, Inc., Hyperion Therapeutics, Inc., InterMune, Inc., KaloBios Pharmaceuticals, Inc., Movetis NV and a number of private companies. Dr. Healy holds a BA in Molecular Biology and a BA Scandinavian Studies from the University of California at Berkeley, and an MD and PhD in Immunology from Stanford University School of Medicine. We believe Dr. Healy is qualified to serve on our board of directors due to his medical training and his extensive experience in the biopharmaceutical industry, including as a venture capital investor and a member of the boards of directors of other biopharmaceutical companies. Patrick Heron is a Managing General Partner of Frazier’s Life Sciences team. 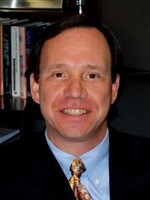 He joined the firm in 1999 and opened Frazier’s Menlo Park office in 2003. Mr. Heron has successfully partnered with entrepreneurs across a range of company types and stages, from early-stage anti-infectives companies to >$100M commercial-stage dermatology companies. Mr. Heron has also been active in company formation around both early- and later-stage assets. He has led and served as director for many successful Frazier Life Sciences investments, including Marcadia (acquired by Roche), Calixa (acquired by Cubist), Cerexa (acquired by Forest), PreCision Dermatology (acquired by Valeant), Trubion (acquired by EBS), MedPointe (acquired by Meda), and Cidara (Nasdaq: CDTX). He currently serves on the boards of Collegium, Imago, Iterum, Nexcida, Silvergate, Tobira, and VentiRx. Prior to joining Frazier Healthcare Partners, Mr. Heron helped develop McKinsey & Company’s West Coast biotechnology consulting practice, where he led projects involving mergers and acquisitions, product launches, sales force optimization, corporate partnering, and research prioritization. Mr. Heron received his MBA from Harvard Business School. He also holds a BA from the University of North Carolina at Chapel Hill, where he is a Phi Beta Kappa graduate and Morehead Scholar. Ron Hunt is a Managing Director at New Leaf Venture Partners, and focuses on investments in biopharmaceutical companies. Mr. Hunt was one of the founders of New Leaf following the spin out from the Sprout Group in 2005, and today has nearly 2 decades of venture capital investment experience. Mr. Hunt has played a significant role in many of the firm’s investments in biopharmaceuticals and in other sectors. Mr. Hunt is currently on the boards of Iterum Therapeutics and Neuronetics, Inc. Mr. Hunt was previously on the boards of Durata Therapeutics (Nasdaq: DRTX, acquired by Actavis), Relypsa (Nasdaq: RLYP), Cerexa (acquired by Forest Laboratories), Stromedix, Inc. (acquired by Biogen Idec), Aspreva Pharmaceuticals (Nasdaq: ASPV, acquired by Galenica, Inc.), Phase Forward (Nasdaq: PFWD, acquired by Oracle), and Pathology Partners (acquired by Caris Group). Prior to joining Sprout in early 1998, Mr. Hunt was a consultant with the pharmaceutical industry practice at Coopers & Lybrand Consulting and then with The Health Care Group (a division of the Interpublic Group of companies). His consulting work spanned 4 years and focused on strategic and operational engagements for clients in the pharmaceutical and medical device industries. Prior to entering the consulting field, Mr. Hunt held a number of sales and marketing positions for a combined eight years with Johnson & Johnson and SmithKline Beecham Pharmaceuticals. Mr. Hunt is a graduate of The Wharton School (MBA) and Cornell University (BS). David Kelly is a member of the Executive Committee of Horizon Pharma, plc, a biopharmaceutical company listed on Nasdaq and headquartered in Dublin, Ireland, and a Director of its Irish operating subsidiary. He was formerly the Executive Vice President, Managing Director, Ireland and Company Secretary of Horizon. Prior to joining Horizon, Mr. Kelly served as Chief Financial Officer for Vidara Therapeutics, and was previously Chief Financial Officer of AGI Therapeutics. He also served as Senior Vice President of Warner Chilcott, a fully integrated specialty pharmaceutical company. While at Warner Chilcott, he led the company's successful IPO on Nasdaq. In addition, Mr. Kelly also held roles in Elan Corporation and KPMG. 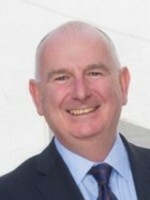 Mr. Kelly holds a Bachelor's degree in Economics from Trinity College, Dublin and is also a member of the Institute of Chartered Accountants in Ireland (ACA). Shahzad joined Advent in 1999 with a strong background in science, clinical medicine, and international finance. He gained an MA in Physiological Sciences from Oxford University and an MD from Cambridge University, after which he specialized in interventional cardiology while also pursuing clinical and fundamental scientific research in heart muscle disorders. Since joining Advent, Shahzad has been actively involved with 21 portfolio Companies in Europe and the USA in all sectors of Life Sciences, including Algeta, Respivert, Biocartis and PowderMed. 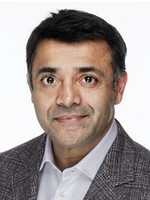 Shahzad currently serves on the Board of several portfolio Companies, including Acutus, Agenus and Versartis.